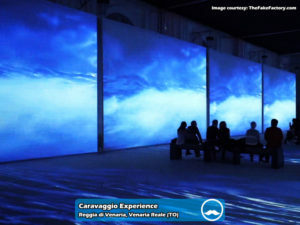 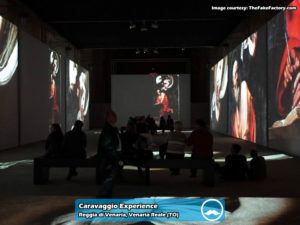 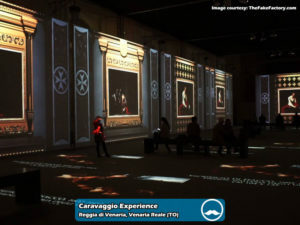 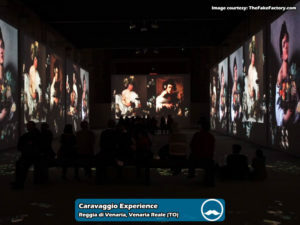 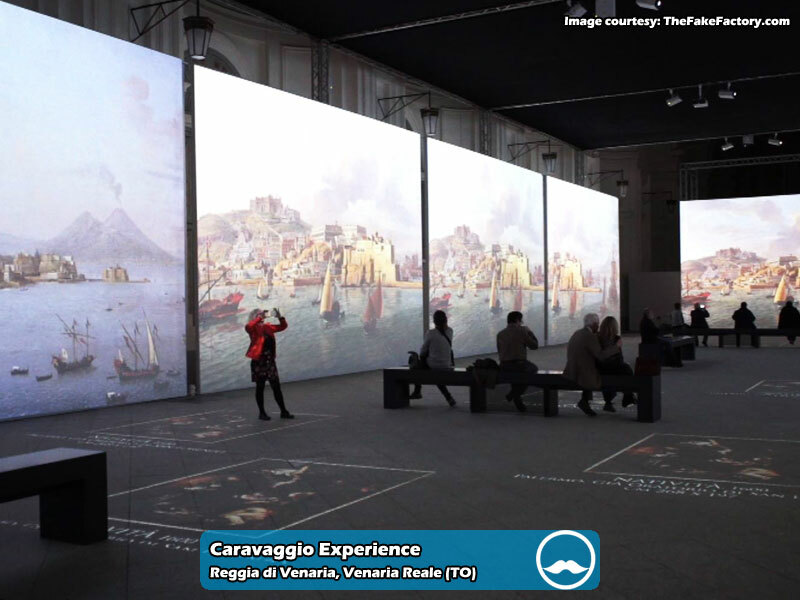 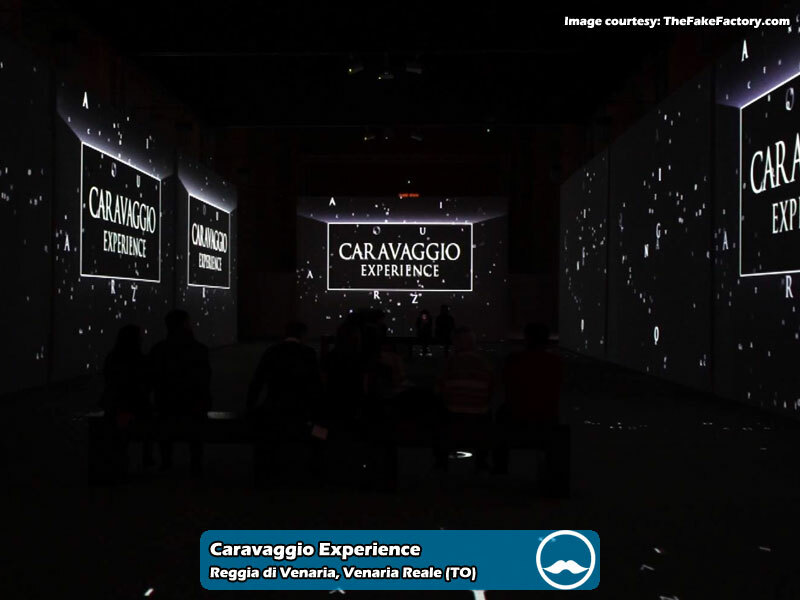 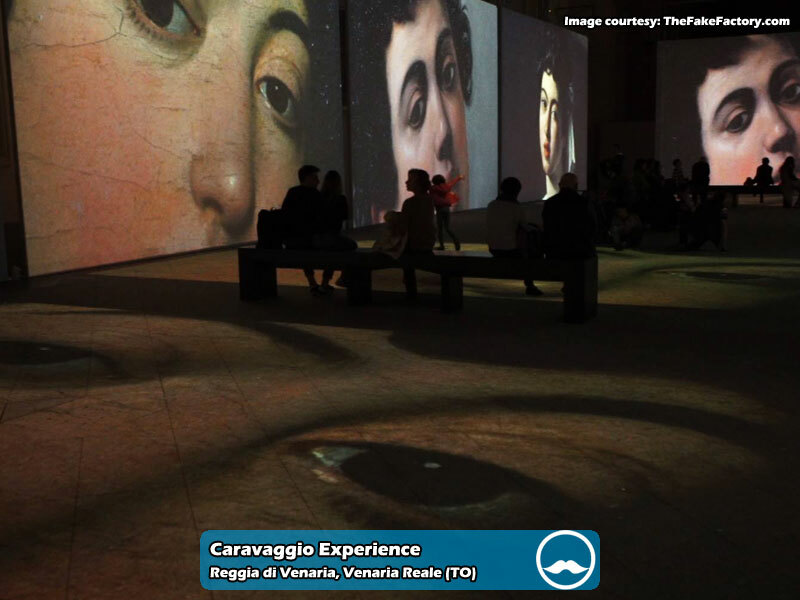 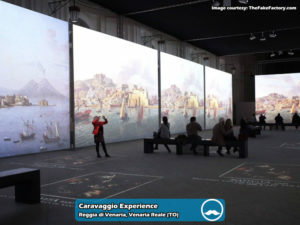 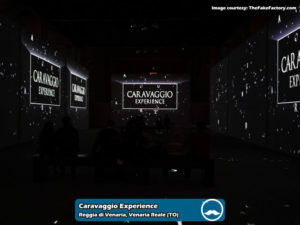 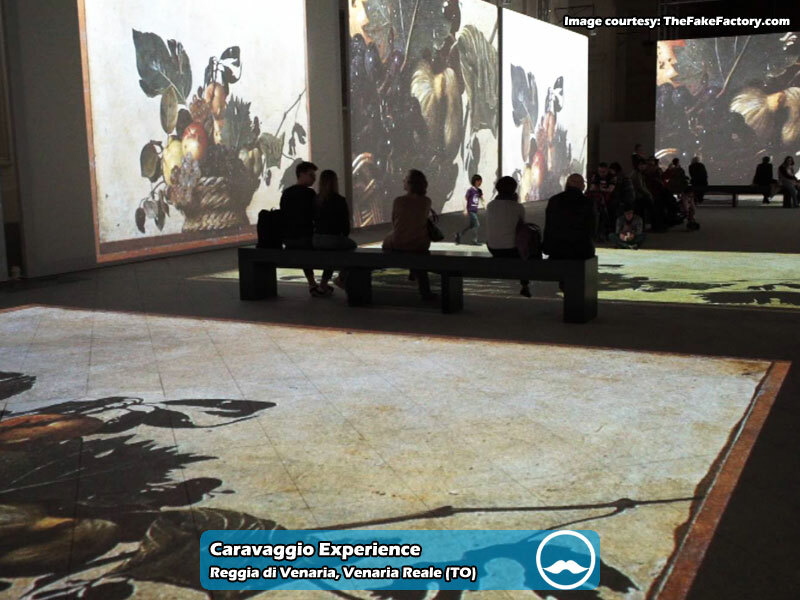 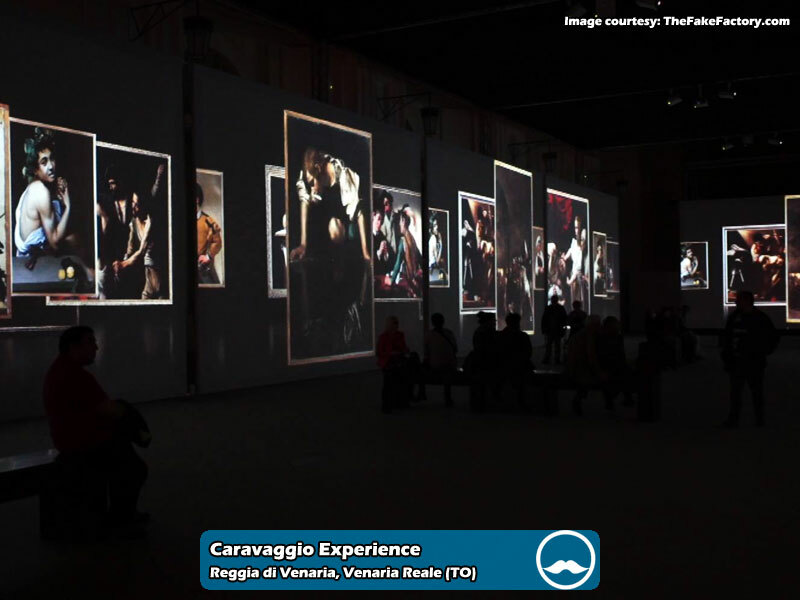 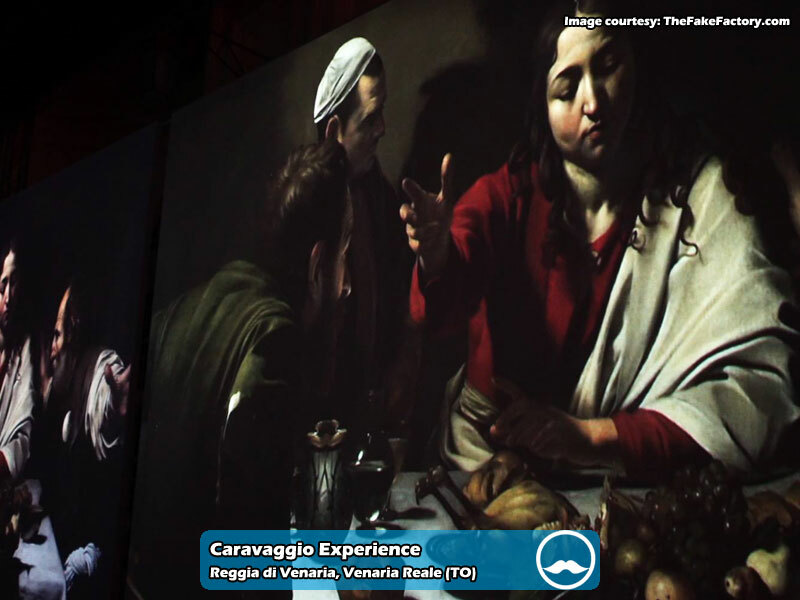 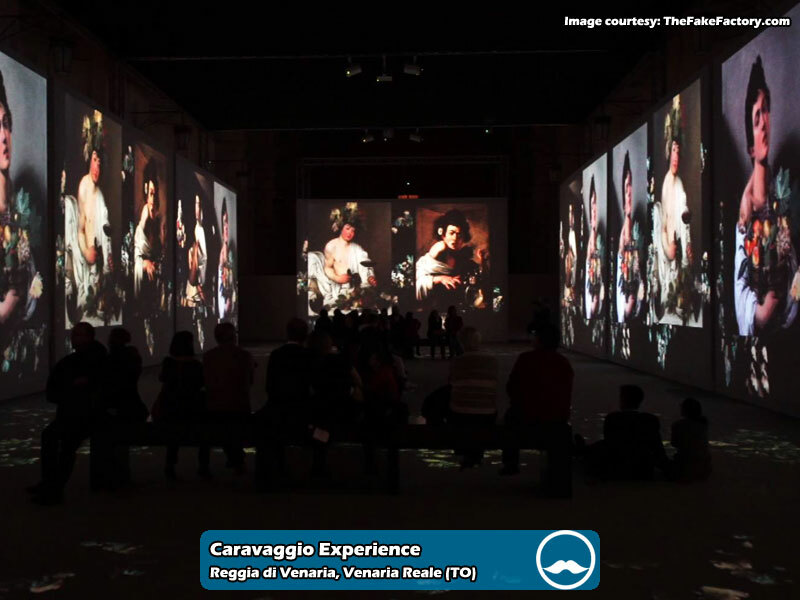 The charm of the majestic Caravaggio Experience video installation materialises again, this time at the big spaces of Citroneria Juavarrania at the Reggia di Venaria Reale, a complex made by a 80.000 m² monumental building and 60 hectares of Gardens at the gates of Turin. 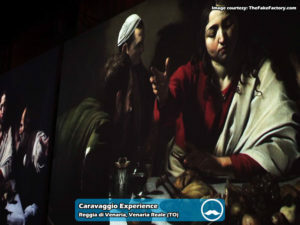 After the amazing success of the past year at Palazzo delle Esposizioni in Rome, 58 masterpieces of the famous painter Michelangelo Merisi, well known as Caravaggio, have been gathered in a show lasting approximately 50 minutes. 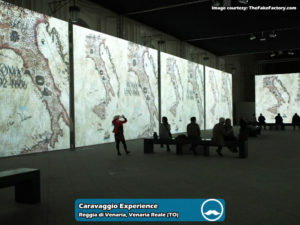 The sophisticated and huge dimensions multi-projection system, made by The Fake Factory video artists on the evocative melodies by Stefano Saletti and even rich of olfactory fragrances selected by Officina Profumo – Farmaceutica di Santa Maria Novella, can be admired by the visitors both while comfortably seated on the benches located along the entire Citroneria and while walking up and down the inner nave. It is even possible to experience part of the installation through the VR HTC Vive visors, made by Modo Comunicazione. 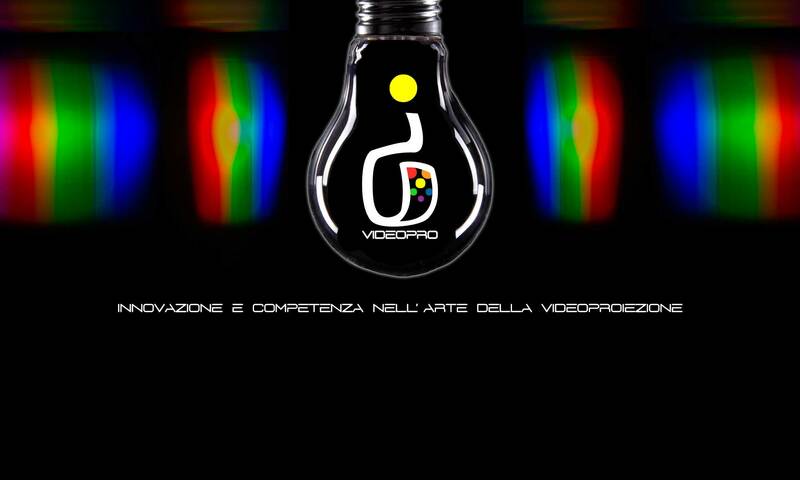 The exhibition, produced by Consorzio La Venaria Reale with Medialart, in collaboration with Roma&Roma S.r.l., is visibile from 18th March 2017 to 11st February 2018 (with a short interruption between 19th June and 13th July included) and avails itself of the scientific consultation by Claudio Strinati. 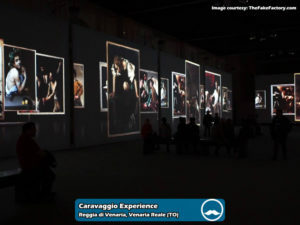 From the technical point of view IC Videopro provided a whopping 19 Canon video projectors belonging to the XEED family, more specifically 17 WUX400ST and 2 WX520. 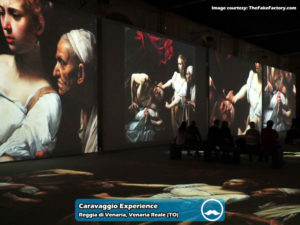 All these video projectors are linked by the sublime Infinity Dimensions Technology multi projection system.